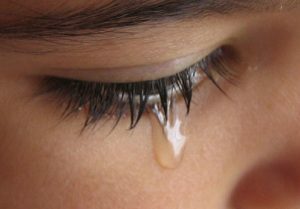 As my children were growing up, there would be times when something would happen at school or in the home that would require the shedding of tears. I always wanted to help wipe away those tears even when they needed to be shed. The imagery of our God being able to catch our tears is one that is full of meaning. The fact is, because our God has the ability to see, hear and know everything He sees our grief and He does not discount it in any way! Just as Jesus Christ who had been summoned to the house of His dear friend Lazarus who was dying, when He arrived and Lazarus had already passed away, Jesus wept (John 11:35) with those who mourned the life and presence of Lazarus. “ You need to just move on with your life”, “you have so much to be thankful for even in this loss,” or “you just need to get over it as soon as possible.” Though expressed by the most well-meaning of friends, brethren and co-workers, the process of grieving is just not as easy as it sounds. Psychologist and Professional Counselors speak of the five steps of grieving and the list is even being expanded to seven, but everyone deals differently with grief and loss. Grief is difficult to deal with! We can define it, talk about it, place it in the circle of life, but when it’s our turn … we are never really ready for it. No one can fix it for us! No one can make it go away! Grief is an unwelcomed visitor at our door and when it knocks, it insists on coming in. Grief changes us, at least most of us. Grief has a distinct ability to overshadow our very lives in ways we never anticipated. When someone else loses a loved one or a close friend, we seek to console, encourage and simply be there for them. But when it happens to us … our view of life, work, and even our relationship with the Lord can go one of two ways leading us to either become stronger in our faith in the Lord or to become weaker and doubting His presence and care. The weight of grief can become so heavy that we’re not sure if we can even get out of bed or take another step! Have you ever been to this dark and sometimes lonely place? If so, you know what we’re talking about. Grief can affect our dispositions in life … toward self, family and others! Grief can last a great deal longer than we ever thought about it lasting. Grief can be triggered at unsuspected moments … a word spoken, a song being sung, a show on TV, a meal at a familiar restaurant, a picture on the wall or desk. All of a sudden we are spinning off into a distant place where the senses are dulled and we might not even see those around us or hear their words. Without doubt, grief will change us. The wise man wrote of the betterment of going “to the house of mourning” over “the house of feasting” (Ecclesiastes 7:2). So we say to ourselves, “I know, I know” but it doesn’t seem to get any easier. Grief cannot be fast-forwarded. We must allow grief when it comes to be the companion God has permitted to walk alongside of us for a while. We must be patient with ourselves, others, and yes, even with God! 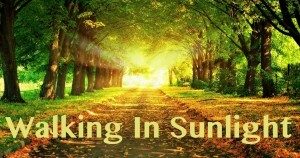 He promises to always be our God of comfort as we serve Him (2 Corinthians 1:3-4; Hebrews 13:5).